Having great answers to these top employer queries will impress even the toughest interviewer. Remember to be yourself, know your strengths and be honest with the interviewer. 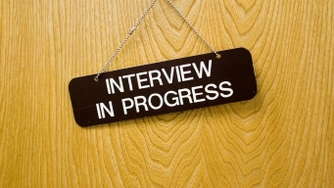 Practice and preparation are the keys to interviewing successfully. Do all you can to be as confident and prepared as possible. Take a look at the 50 questions below and prepare short, specific answers before you head in to your interview. Did you work while going to school? In what position? What did you enjoy most about your last employment? What did you enjoy least about your last employment? What did you learn from these college work experiences? Would you be successful working on a team? What do you know about our company (product or service)? Which college classes did you like the best? Why? Which college classes did you like the least? Why? Do you think you received a good education at University? What is your overall GPA. What is your major GPA? How do you feel about working in a structured position? How do you feel about the possibility of relocation? Have you ever done any volunteer work? What? How did you get along with your former professors (supervisors or co-workers)? How many classes did you miss because of illness or personal business? What are your ideas on salary? Do you have any computer experience? Would you be willing to take a drug test?